16 Days ~ Rachel | Losing It! There are 16 days to go before I get to marry Dave. 8 days before I try my wedding gown on again. The dress fitting wasn’t a disaster and there were no tears thankfully. The dress is tight and doesn’t fit in 2 spots but between me losing some pounds and the tailor letting it out (thank God there was room to let it out), she said it will be just fine. I tried that dress on October 3rd. I go back on the 21st. She will then do the alterations over the weekend and I will pick it up early in the week for our wedding on the 29th. How crazy is that? The tailor wanted to give me as much time as possible to lose a few pounds. I had just started my period so I was quite bloated at that dress fitting. I’ve kept an eye on my scale at home and tracked everything going into my mouth…I’ve seen the numbers come down. I’m gonna knock this week out of the park and hopefully lose 5lbs by really sticking to the plan. The numbers haven’t come down as much as I would have thought so I am going to limit my fruit snacks to one per day. I’ve been doing 2-3 per day….usually a banana and an apple and sometimes a second apple. I really think too much “free” fruit might be a problem for me so I’m going to aim for more veggies instead. And since my little check-ins on the blog are going to get even more sparse, let me leave you with a recipe. I found a new blog called emily bites. She posts easy recipes that are WW friendly (with points plus calculated)…lots of them are portion controlled (mini muffin/muffin tin servings) which is nice. 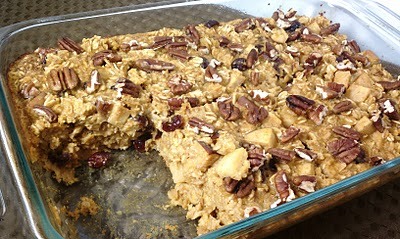 The first recipe I tried was the Pumpkin, Cranberry and Apple Baked Oatmeal. In the words of Biz, HOLY SHIZ! This was FANTASTIC. I’ve been eating it all week. I simply measure out my serving (I do 6 servings for 8pts+ per serving instead of 8 servings), splash some half & half over it, nuke it for 2 minutes and then enjoy. I will be making this, probably every week, through the fall and winter months. I think next time, though, I might play around with the spices. This recipe is screaming for pumpkin pie spice instead of just cinnamon. And I might throw in a bit more apple. Oh…and for those of you who don’t have wheat germ in your pantry (I didn’t), you can replace it with an equal amount of ground flax seed or just more oats (which is what I did). I might get some ground flax seed for the next batch. I’ll be back next weekend to tell you about my final dress fitting. And if you’re lucky you might get to hear about my bachelorette party! OOOOH, 16 days!!! So exciting!!! I’m sure everything will be fine with the dress, and I cannot wait to see the pictures!!! That recipe sounds good. Can you eat it more like a soft cake? I can tell it’s getting cooler and also I’m getting bored, because I’m actually thinking about making it! Thanks Cindy! And once I’m married and things settle, I can get back to all the Healing Spices posts I had planned! I LOVE laughing cow wedges…why I never thought to put them with celery sticks is beyond me….DOH….thanks for the tip! 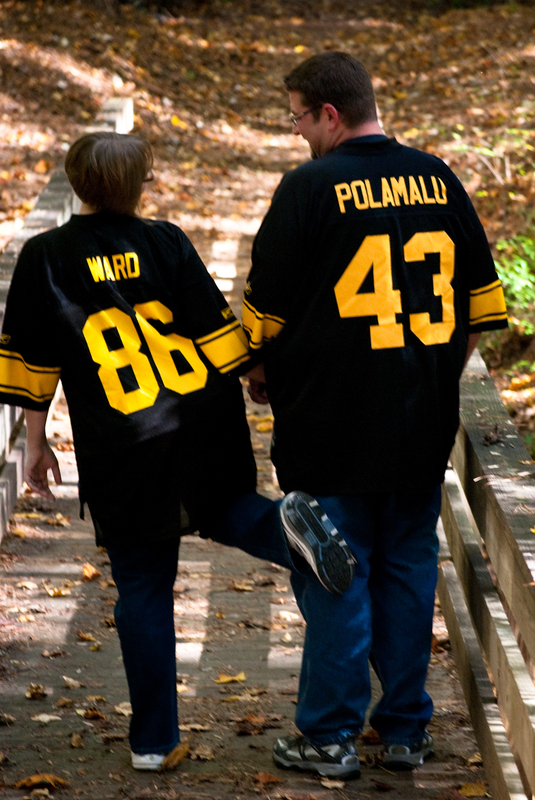 Holy Shiz is right – my SIL and MIL have now made it too and loved it. My hubs? Wouldn’t even try it – but that’s okay, more for me! 😀 I liked that it wasn’t overly sweet too. The big day is almost here!! So excited for you guys!